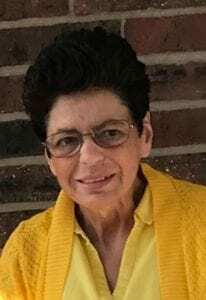 Sharon Le Kearney, 66, passed away at Hospice House on Nov. 2, 2018. Sharon was born on May 6, 1952, in Kansas City, Mo., to James Thomas Darnell and Beverly Waneta Darnell. She is preceded in death by her husband, Kenneth Michael Kearney, and her siblings Jerry Ray Miller, Kathryn Ann Withrow, and Beverly Ann Ruiz. She graduated from Van Horn High School, KCMO, in 1969. She was a Certified Nurses Aid at Mary’s Hopsital in KCMO, and attended Penn Valley Community College. She lived in Raytown, Mo., Belton, Mo., Tampa, Fla. Ottawa, and Wellsville. She has lived in Gardner about 20 years. She is survived by her, siblings: Janie Parks, Independence, Mo., and Susie Babcock, Harrisonville, Mo; children Richard Zolnowski III, KCMO., Beverly Zolnowski Thomas, Florida; Rachel Collins (Matthew), KCKS, and Kelly Huerta (Joey) Gardner, Kenneth Michael Kearney, Gardner; and Jason Kearney, Olathe; and Michelle Kearney Whitaker, Olathe, and nine grandchildren, Jordan, Patrick, Samantha, Madison, Eric, Melinda, Travis, Ellie and Maddox. In her youth, Sharon enjoyed roller skating, pool, badminton and swimming. She was a Bluebird and member of the Camp Fire Girls. Sharon was a life member of the associates of Vietnam Veterans of America and volunteered at Hope House in Ottawa, Ks. She enjoyed baking, cooking, shopping, family gatherings with her children and grandchildren; repurposing and donating items and watching football. Cremation. Private family services Leavenworth, Ks. In lieu of flowers, the family suggests donations to the American Cancer Society.